Paris (AFP) - French far-right leader Marine Le Pen called Monday for an "immediate halt" to the intake of migrants into France following the deadly jihadist attacks on Paris. Le Pen's National Front (FN) party said in a statement that one of the attackers had arrived in Greece last month "among the mass of migrants who flow into Europe each day." The statement, issued three weeks ahead of regional elections in France, added: "As a precaution, Marine Le Pen calls for the immediate halt of all intake of migrants in France." In view of Friday's attacks, which claimed 129 lives, France's assent to the EU-wide obligatory quota system for migrants was "irresponsible", the statement said. Four of the five attackers that have so far been identified were French. But the FN said its "fears and warnings of the possible presence of jihadists among the migrants entering our country" had been borne out. A Syrian passport was found near the body of one of the suicide bombers, though its authenticity has yet to be verified. Prosecutors said the bomber's fingerprints matched those taken by Greek authorities from a person who was in possession of the passport. The staunchly anti-immigration FN has seized on Europe's migrant crisis to win votes ahead of regional elections on December 6 and 13. The party is already leading opinion polls in several regions. 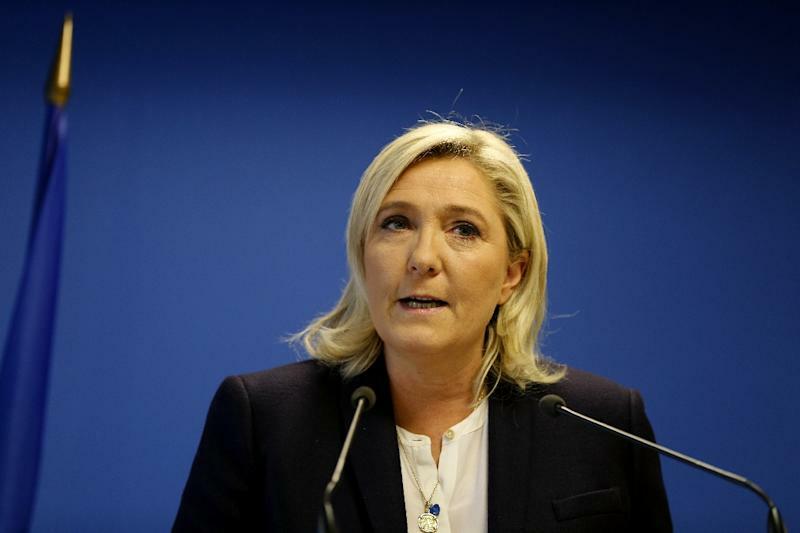 Le Pen has campaigned on the party's traditional line of calling for an end to Europe's borderless Schengen zone and actions seen as enticing migrants to France. The FN leader, who is on trial for inciting racial hatred, has likened the flood of migrants on Europe's doorstep to the "barbarian invasions" of the fourth century.